Google Yourself – Speaking of searches, don’t forget to Google yourself as well. You need to know what results appear when you search your name. This is the same search that other attorneys and potential clients will do to find you. You might discover that your Google ranking or your firm’s ranking is not as high as you had hoped it would be. If you have an IT department, or web company, ask their advice. You also might discover some other searches out there like Avvo.com and Yelp.com have (good and bad) information about you. Claim those profiles as well since the information is out there – it might as well be good information. Clean out your files – The beginning of the year is a great time to clean out your files. Even if you made the vow to “Go Paperless in 2012” and you are still drowning in paper, try again. Every piece of paper that is scanned now is one less piece of paper that has to be stored for seven years and destroyed thereafter. With online storage prices so low (and some free such as Dropbox, Google Drive, Amazon, Skydrive), the space is there. Arm yourself with a desktop scanner like a ScanSnap and the process is (almost) easy. Get Social –If the idea of attending a networking event makes you cringe, create your own. Take your referral sources to lunch or coffee. Take your clients to lunch and find out how you can help them. It is great to be social; be social with a purpose. Buy an iPad – iPads are here to stay and the legal community is embracing this new technology. With apps that do everything from track mileage to record your billable hours, the million-plus apps in the Apple App Store will overwhelm you. Sign up for an iPad CLE offered by the NCBA or the NCAJ to learn more. Stay Current with your Operating System –After April 8, 2014, Microsoft will no longer support Windows XP. If you still are using Windows XP (and many firms are), make plans now to upgrade to at least Windows 7 (preferably Professional) before then. Upgrades are confusing for even the most experienced user, so prepare for a learning curve. You don’t want to be making this decision next year when Windows XP is phased out. The beginning of the year is a good time to begin some habits that will last a lifetime. Take a little time to make big changes that will help you and your firm. 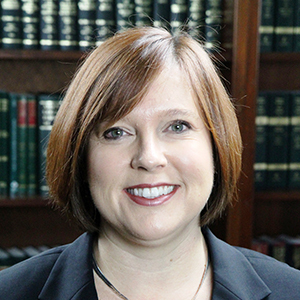 Pegeen Turner, President of Legal Cloud Technology, a Raleigh-based legal technology firm, works with small and medium-sized start-up law firms, firms that need help maintaining and integrating legal technology into their practice and helping firms understand cloud computing.